and maybe even a baked good. On our last apple outing, we went to an orchard we hadn't been to before. Why? Because my mother was RAVING about the cookies she had at the bakery of this orchard. Well, that's a tease if I ever heard one, so we had to go. Once we got there, and were waiting in line, I am peeking at the bakery case and already disappointed because I don't see any of these cookies. Not a one. We finally get our turn, and I ask the lady about these cookies... Oh yes, they have them, they are already bagged and ready to go. Apparently so popular, they don't bother to put them in the display case! I wanted to try and replicate this cookie! I couldn't get the cookie the way I wanted it to be, but I was able to get it into a bar! 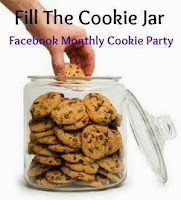 Just in time for Fill the Cookie Jar! Preheat oven to 350 degrees. Line 9x13 pan with parchment paper, set aside. In large bowl, cream butter until light and creamy. Add both sugars, beating until fluffy. Add eggs, one at a time, mix well. In medium bowl, combine flour, baking powder, apple pie spice, and salt. Add dry ingredients to butter mixture, mixing until fully incorporated. Add oatmeal, mix well. Fold in diced apple and caramel bits. Press into prepared pan, and bake for 30-35 minutes, or until light golden and set. Once cooled, cut into bars. Store in airtight container. I can't wait to give this apple bar recipe a try. They look amazingly delicious. I can't WAIT to try these - they look simply delicious! You are one lucky girl to have all those apple orchards around you and trucking man? So lucky to have a beautiful soul with him - who spoils him by filling the cookie jar! PINNING! Yum! A delicious cookie tease would get me right to the apple orchard as well! 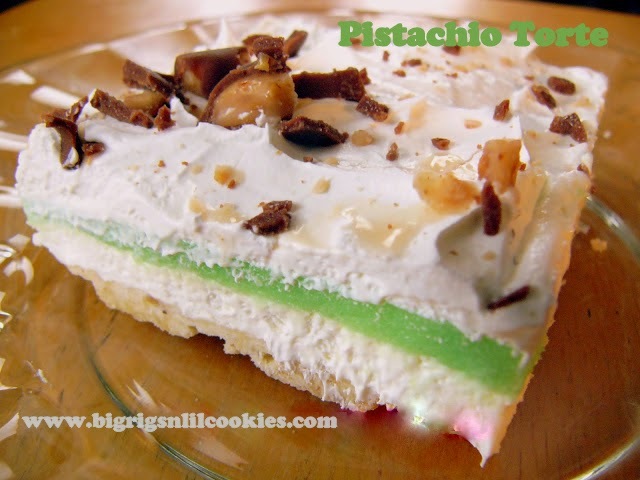 I am definitely going to make these! Caramel and applies...my two favorite things!! YUM!! What are Caramel Bits? Could I use caramel squares, and slice them in half? Or should I stick with Caramel Bits. The Caramel Bits I used are from Kraft. Even in my rural grocery store, they have them in the baking section, right by the chocolate chips. They are "bits", about the size of a chocolate chip. You could use a caramel square, but if you did I would cut it up smaller than in half. Cut as small as you can. i think it's safe to say that i'm on board for anything combining apples and caramel, and this is no exception! it's about a 2-hour drive to the nearest orchard in these parts, but it's an annual tradition for us to make the trek! A delicious sweet treat, caramel & apples combined. I haven't made bar cookies but this month there are delicious recipes so I'm venturing into the cookie bar arena. Can't wait to give this recipe a try, I do love caramel and apples together.